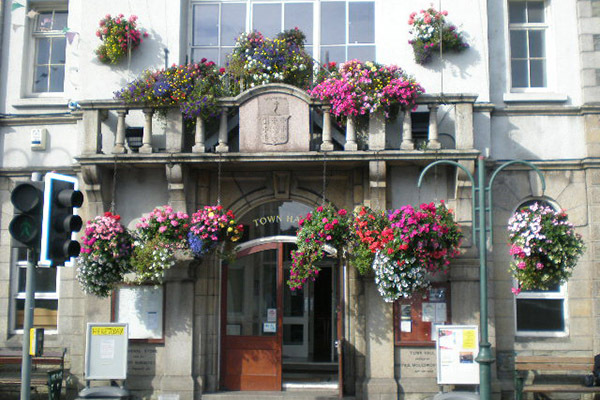 The Town Hall has many various sized rooms available for hire. The rooms can be set up howevere required with tables/chairs on request if needed. All of our rooms located in the Town Hall building have free Wi-Fi availbility when hiring. You can also see photographs of the rooms can be viewed by clicking the room name from the list below. Please give full details of requirements: dates/times (in line with our session times - you will find these on the scale of charges further down the page), room size, type of function, layout, ;license for sale of alcohol etc. Based on availability, provisionally book or confirm booking with a member of staff. Please make sure we are kept up to date regarding provisional bookings, otherwise you risk losing your session. Once confirmed, you will receive the booking form/invoice via email or post - check the details thoroughly and read through the documents attached. Complete as required, sign & return, with fee due for our completion. Only when the booking form is signed & returned is it a confirmed booking. The hirer is responsible for returning the booking form and the Town Council will not chase enquiries. Payment must be made in full, in advance unless agreed otherwise. Before posting to the above address, please write the booking form number on the reverse of the cheque - this is located in the top right corner of your form. Post-dated cheques will not be accepted. Do not send cash by post. Option 2) Card Payment or Cash – via the Town Clerk’s office at the above address - open Mon-Fri, 10am-3pm. Why not consider our venue for your post-ceremony meal and/or evening celebrations. Our spacious, affordable venue could suit all your needs on your big day. The woodsprung floored hall is approximately 46ft x 38ft, the premises is licensed for alcohol and music up until 11pm, kitchen facilities, tables and chairs (if required), freedom to decorate (t&cs apply). Bookings can be flexible for you to allow for plenty of set-up/clearing time. Catering not included. Click here to see photographs from a Wedding event in 2017! Please see below for information regarding Scale of Charges and Premises Licence regulations. For all enquiries to do with hiring park areas, the Town Council soley must be approached with plenty of time allowance and in writing via the Town Clerk. The request must state all details of event itself, dates & times (including setup/taking down), whether the power cabinet is required (fee applicable - further details on the power cabinet below), whether parking spaces are required (fee applicable).